So I've blogged about fashion, I've blogged about hair.... and now it's time for some blogging on beauty in pregnancy. But rather than talking to you about it myself I'm handing over to a professional, Nicola Skinner, from fab up-and-coming blog, Worn Out & Wonderful. Nicola has a 17 month old daughter who is very interested in trying to eat cat-food. Despite this she loves parenthood and all the challenges it brings, not least in reducing your beauty regime to approximately 30 seconds in the morning. She swears by mascara, charity shops, subtle tailoring, and a little bit of chutzpah. I would much rather be pregnant now than fifty years ago. Why? Things are a lot easier for pregnant women now – well, in Britain anyway. The internet has brought convenience our mothers didn’t have, and feminism, education, and changes to the way we live has enlightened us about our right to spend our hard-earned money on ourselves. The average age a woman gets pregnant with her first child is 29 nowadays. (Source: BBC) Back in 1952 it was 22. 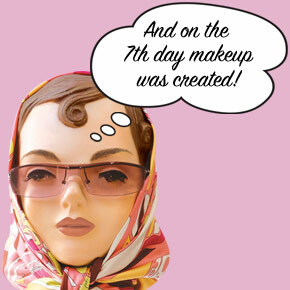 That means we’ve had seven whole years more than our predecessors to experiment with make-up, treatments, and ‘our look’. If knowledge is power, you are more powerful than any other British generation of pregnant women. That’s a pretty special place to be, no? I’ve come over all inspired - I’m nearly ready to be pregnant again! Here are some things I’ll be thinking about when that second bun is in the oven. Feel free to pick and choose from the ones that inspire you. I love to place emphasis on my eyes and eyebrows for easy definition. I run a brown eye-pencil through my eyebrows before running an old toothbrush sprayed with hairspray through them. This tip, from the Bristolian make-up artist Isabel While, ensures my eyebrows stay groomed and neat all day. A slick of foundation and some Vaseline Rosy Lips balm (£1.99 on the Boots website) and I’m ready to face the world. Strong eyes + neutral lips are such an easy day look and perfect for motherhood too. And learn some beauty tricks from the pros, which I’ll be able to use through pregnancy and beyond. There’s nothing like changing your beauty regime once in a while and if you go in the morning on a weekday (so when you start your maternity leave if you are working) you will have the place to yourself. Last time I went to Mac I learnt their liquid bronze eyeliner was perfect for my green eyes, and how to apply it. What will you learn? So they can spend time with my daughter while I relax, recharge, or visit Mac’s make-up counter once in a while. I will buy them a posh box of chocolates to say ‘thank you’. There’s nothing like half-an-hour with a fashion magazine once in a while. I always learn something new and they inspire me to try out new cuts, colours and trends. They’re always so keen to win new readers that you can normally get 40 – 50% off a subscription deal. On this website, for example, I found 6 issues of Glamour for £9, 6 months of Vogue for £19.50, and 12 months of Instyle for £15.99. This will be my monthly treat and a refreshing antidote to What to expect when you’re expecting. As a feminist I will obviously skip past any article starting: ‘How to keep your man…’ but will focus instead on the beauty and fashion articles which are always amazing. I love Sali Hughes, the Guardian beauty and make-up columnist; intelligent, creative, and always in the know. Her Saturday column inspires me to try new looks and reinforces my belief that an interest in make-up empowers not enslaves. I also love the blogosphere as it’s chocka with brilliant, funny, original women who aren’t ashamed of their interest in fashion and beauty, and I can learn new things without leaving the house. And when my baby comes, I’ll ask for some beauty products as gifts, rather than newborn clothes. You can have too many clothes for a new-born. When my daughter was born, I loved getting clothes for her, but really she only lived in a few baby grows. I think it’s ok to ask for a present for yourself. You’re the one doing the 2, 4, and 6 am feeds, so a little luxury to look forward to in the morning will make you feel more human. Your close friends and family will willingly accommodate your request, if you cue it right. I’d love a tinted Mac lip balm with SPF 15 (£11), Liz Earle’s light-reflecting concealer - perfect for tired mums - (£15) or just a super glamorous Chanel nail-polish. You can buy them on the Boots website for around £18 and they’ll be a welcome relief to stiff sparkly party dresses that the baby will never wear. Just saying. Don’t be afraid to put yourself first; it does wonders for your self-esteem as a new mum, and a happy mum is a good mum. 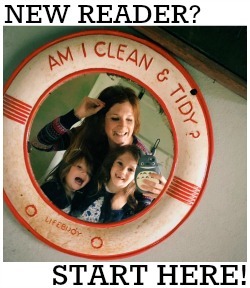 Make sure you pop over to Worn Out & Wonderful for more excellent mama beauty & style advice. You can also follow Nicola on Twitter here.